The much awaited Diwali Party is finally over and so is all the rush of getting things done. I couldn’t blog about my projects as soon as I completed them :(, now I will try to catch up :). Here is another candle I decorated for the party decor and it served the purpose splendidly! The red glitter was looking very festive and eye-catching with all the diyas and candles around. There is something mesmerizing about dim lighting. 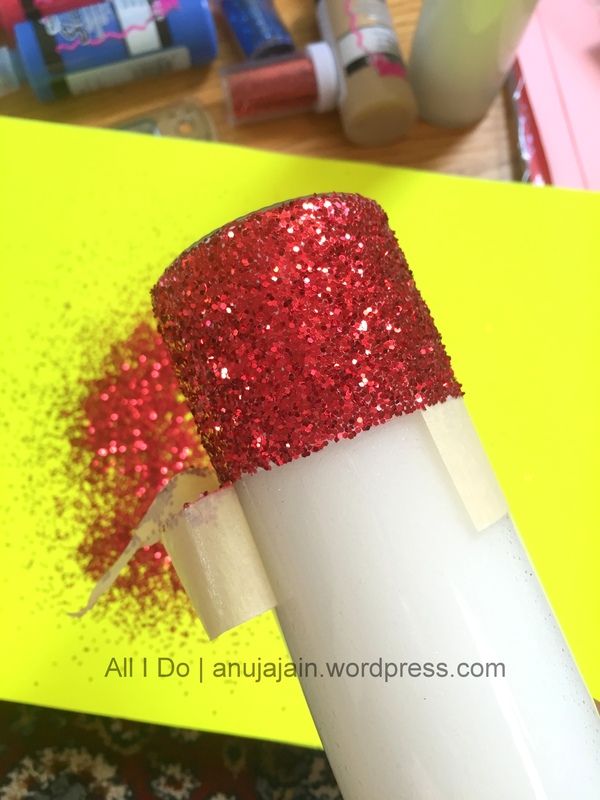 Paste a piece of masking tape a little above the bottom of candle, leaving the area where you want the glitter base. 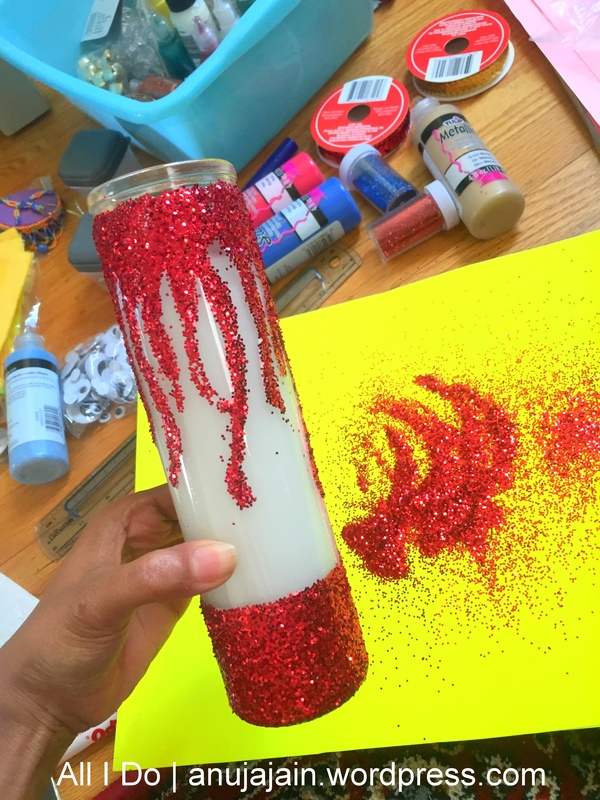 Spread a sheet of paper to collect the extra glitter below your candle and sprinkle glitter over the glued area. (Some glitter will get stuck to the candle and extra will fall down). Rotate the candle and make sure the entire glued area is covered. Carefully remove the masking tape revealing a clear and crisp line. 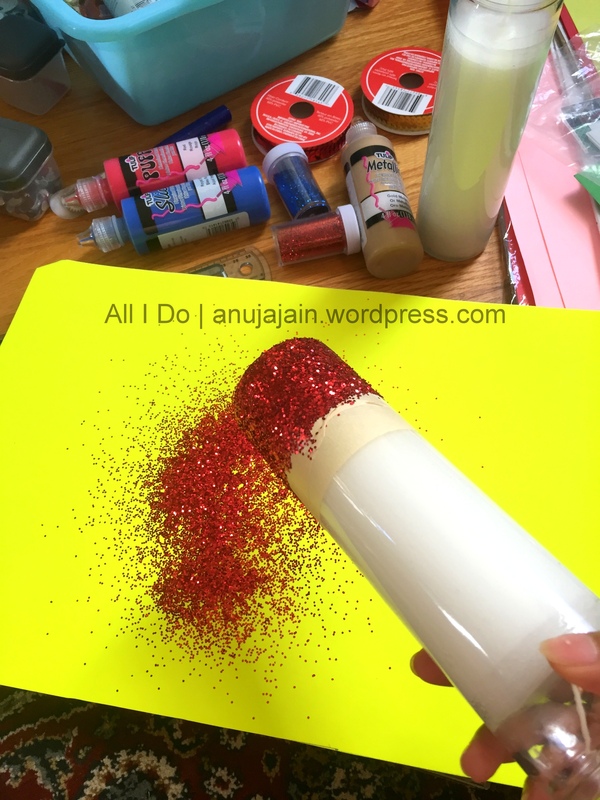 Once done, sprinkle the glitter in same way, collecting the excess on a paper sheet.